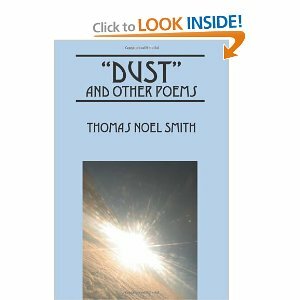 Thomas Noel Smith’s poetry is a reflection of life in all its nuances. In his poetry we see his thoughts on life as he has lived it. It is full and reflective showing life through his eyes. This is not one of those fluffy, happy poetic books. It makes us stop and reflect on our own life. I had to ask myself what would the poetry of my own life look like? In a world where everything must make us feel good and happy it was refreshing to read something that made us pause and reflect. I have a student in my class who read poetry he feels. The poem he turned in as one of his favorites was, “Life” by Charlotte Bronte. Not too many kids read poetry like this. He is an aspiring poet. He told me he writes what he feels. I will be passing this book on to him. It will be interesting to get his impression of the poetry within. It was great reading poetry like this. I enjoyed it very much.